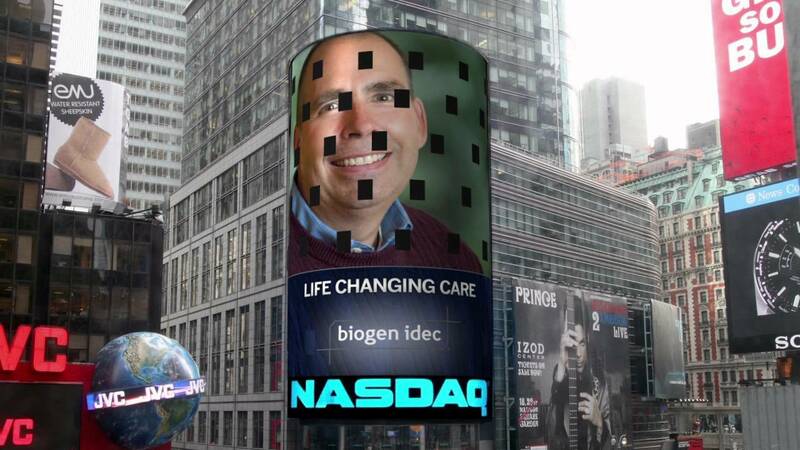 Home / Stock Picks / Hot Stocks / Is It Safe to Buy Biogen Stock Right Now? But what’s got BIIB stock under pressure in the first place? It has many investors trapped above at higher prices, with some investors wondering if now’s the time to get long. Let’s digest the charts here. Despite axing what many were hoping would be a robust treatment, Biogen’s fundamentals are still intact. However, the charts are not. Above is a five-year weekly chart highlighting just how much technical damage was dealt out over the past two days. It’s crazy how much can change in one day. With Biogen stock, we have the stock plunging through the 10-week, 50-week and 200-week moving averages, as well as falling below key support. $250 has been long-time support, buoying BIIB stock for much of the past five years. The exception came in 2016, when Biogen stock broke below this mark for about six months. When that happened, $230 stood tall, but even that mark failed to prop up Biogen this time. What are investors going to do? A retest of the lows near $210 certainly seems to be in the cards now, but the rebound is what has me concerned. 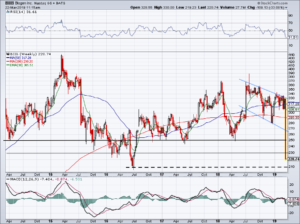 Should BIIB stock bounce, bulls need to see what role $250 plays. If this mark acts as resistance, Biogen could be a tough one to own for a while. If it gives way and the stock is able to get back above this mark, then BIIB has a chance to reclaim its prior range. Aggressive bulls could justify a new position in Biogen stock with a stop-loss near the 2016 lows. Conservative bulls may want to wait for a possible retest of those lows or at least a further decline before starting to nibble. In either case, $250 will be an important test at some point. Despite the technical thrashing, the fundamentals still look attractive. Revenue estimates call for just 2.2% growth this year to $13.75 billion, while earnings expectations call for 9.4% growth to $28.67 per share. That leaves Biogen stock trading at a very low valuation, at just 7.7 times this year’s earnings. It would be one thing if Biogen had negative earnings and revenue expectations for this year and next year. But that’s not the case, while cash flow generation remains strong. Over the past 12 months, BIIB has generated free cash flow of more than $5.3 billion. That leaves BIIB stock trading at about 8.4 times its trailing free cash flow. Guys, these aren’t expensive numbers here, even with the disappointing Alzheimer’s news and the lack of robust growth. That said, the discount to the stock price isn’t surprising. Just look at a company like Celgene (NASDAQ:CELG), which has forecast for double-digit earnings and revenue growth this year and next year, yet trades at just 8.5 times this year’s earnings. And that’s with a pending buyout offer from Bristol-Myers Squibb (NYSE:BMY). I would rather be long CELG (and for that matter, I am) than Biogen stock at this point. That said, long-term investors could justify soon nibbling a position in the latter as it nears a potential capitulation low. Bret Kenwell is the manager and author of Future Blue Chips and is on Twitter @BretKenwell. As of this writing, he was long CELG. Article printed from InvestorPlace Media, https://investorplace.com/2019/03/buy-biogen-stock-on-alzheimer-pullback/.